Hot Spot transforms into a blue Mitsubishi Fuso Great fire engine. 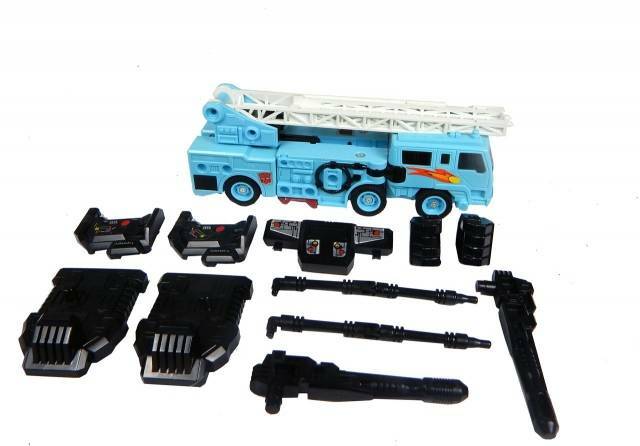 As a Scramble City-style combiner torso, he has a third mode as a "repair bay", somewhat remeniscent of Powermaster Optimus Prime's combat deck. Figure is in great condition, with no signs of wear. Figure has tight joints, no stickers peeling or paint wear.